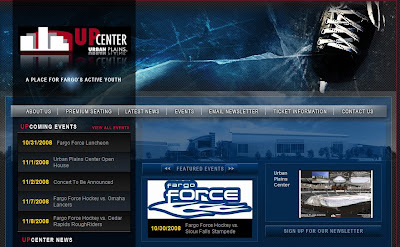 The latest web design, The Fargo UpCenter. GREAT JOB! I'm so proud of you....we will have to take in a game when you're here.